"They're the best I've dealt with, best customer service and finest repairs." "I found the employees to be quite helpful and efficient. Got right to the estimate and were able to schedule a repair promptly. Car looks great (just as if I hadn't messed it up in the first place)." 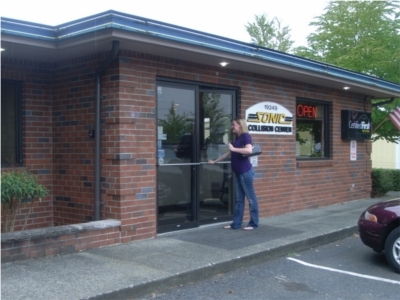 "SONIC COLLISION IS THE BEST REPAIR SHOP IN THE NORTHWEST!!! CAN'T SAY ENOUGH HOW POSITIVE EXPERIENCE I HAD HAD WITH SONIC. THEY CARE & ARE EXTREMELY PROFESSIONAL! I WILL ALWAYS COME BACK & TELL EVERYONE! THANK U SONIC! U R VERY APPRECIATED!" "Sonic Collision provides excellent service and personal care. They keep you up with the status of your vehicle and repair. They are prompt and helpful and always have a smile for you. The repairs are excellent and they do all the phone calls to ghe insurance for you also. No hassles!! Thank you!!" "Sonic expressed a genuine interest in our case. Allyson was professional, engaging, exact, knowledgeable and kept us informed on our vehicle's repair progress. We are of the opinion that Sonic's experience has provided them with singular insights into the insurance industry's collision repair equations. Those insights contributed to a smooth, seamless, efficient and professional result with our Honda. It is our opinion that Sonic should be considered the first stop when deciding on a vehicular collision repair facility." 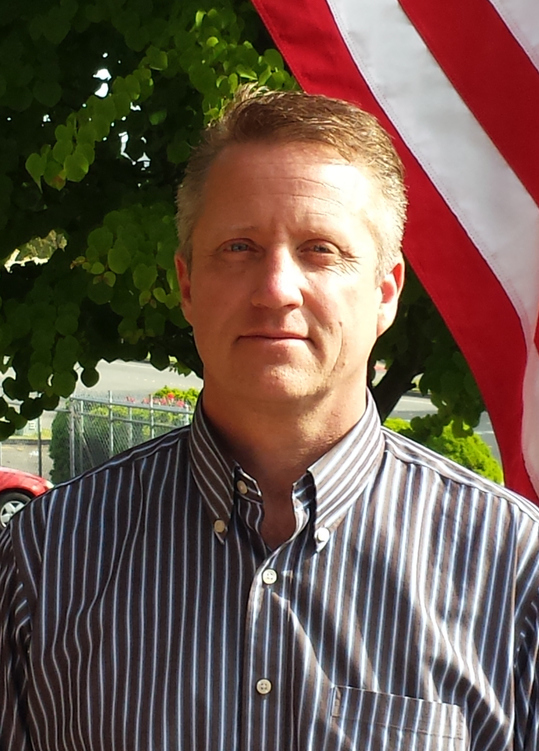 Hello, I'm Cameron Campbell, owner of Sonic Collision Des Moines. We pride ourselves in being able to assist you with all of your auto repair and service needs. 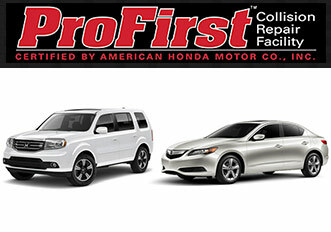 We're a ProFirst Certified shop – certified by American Honda to provide the highest quality collision repairs for Honda and Acura vehicles. As a ProFirst Certified shop, we have the tools, equipment, training, knowledge, and other resources to do the job right. Sonic Collision Des Moines is proud to offer extensive warranties on a variety of our services, including Metalwork, Panting/Stripes/Decals, Mechanical Repairs, and also offers a quality guarantee on all parts used as well. Click 'Read More' for more information! 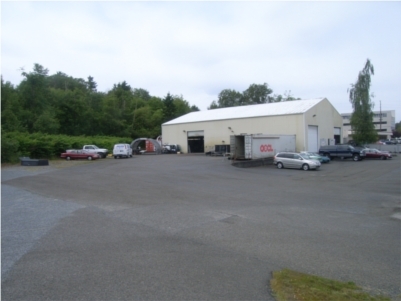 As the #1 auto body and collision shop in SeaTac, we are proud to serve all of our customers with the highest standards. 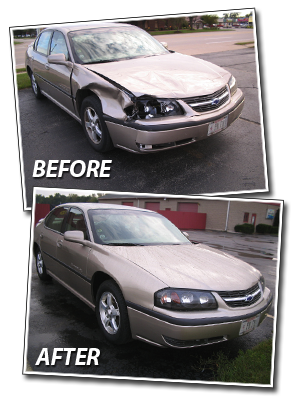 From paint and body work to glass replacement and dent removal, Sonic Collision Des Moines is your one-stop shop for quality auto body work. As Des Moines and Kents experts in auto body repair and service, our team of extensively experienced technicians offer world-class service in everything Collision Repair. Dings, scratches, or sunspots? Stop by our Auto Paint Shop, and let our technicians get your car looking like the day you bought it. Whether you've been in a minor fender bender or a major wreck, the experts at our Auto Body Shop have the tools and experience to make the perfect repair. Untreated dents can compromise the structural integrity of the rest of your car's chassis - let the dent removal specialists at our auto body and collision shop make the perfect repair. Leave us your e-mail at the service counter to be entered in our quarterly drawing! "AWESOME for both the repair quality of work as well as customer service"
"AWESOME for the quality of the repair work as well as the great customer service"
"AWESOME for both quality of repair work and customer service." "AWESOME for both superior quality of repair and customer service"
"Sonic has always done great work for me, and has been a pleasure to do business with. 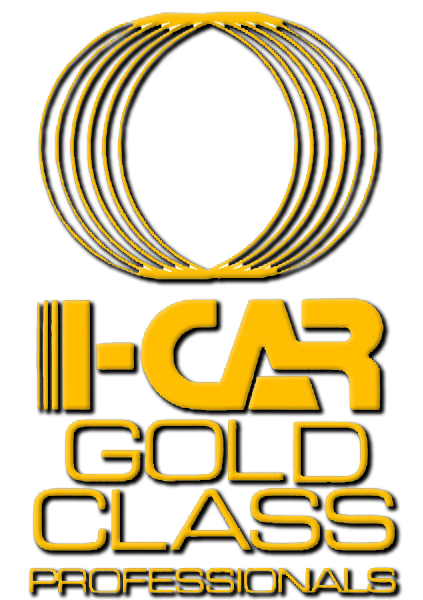 I've had four repairs done on different cars over the years, and have no complaints." "This was by far my best repair experience. My dash and fender were destroyed and Sonic worked with my insurance company for the repairs. The insurance company required they order a "used" replacement dash, which I was not excited about, and Sonic refused it because it was not as nice as my existing dash. I am so happy they refused it and fixed back it to new condition. Because of this, the repair took longer than anticipated. It was no hassle at all since they loaned me a nice Jeep. Sonic also called daily with updates or any questions. They accommodated all of my special requests throughout the process. I met with a few other shops prior to Sonic, and it was obvious Allyson and Cory cared about the quality of my repair. Other shops mentioned quick fixes that the insurance company would probably love. I was not so excited. Additionally, my claims were recategorized after the repair which saved me $400 on the deductible. Between that, the loaner car and a few other special requests, they easily saved me over $1,000 had I chosen a different shop. I am super happy and will always use Sonic." "We have received the same A+ quality repair and competent friendly customer service on our third visit recently as we received on our first visit three years ago. 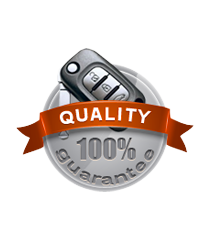 This shows us that they have maintained their high standards and lends credibility to their warranty. Definitely a five star facility! ??????????" "Excellent shop!! You cannot find a better place to have your car repaired no matter where you look. They just do outstanding work at a very fair price." 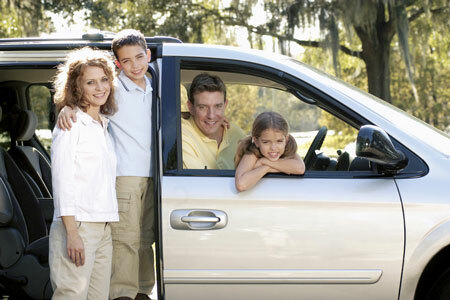 "I highly recommend Sonic Collision to friends and family! You guys do an amazing job! High quality and high touch! Every person is focused on servicing the customer, from the time you walk through the doors until final delivery of your car. I manage customer service vendors across the country and my expectations are quite high, but Sonic Collision delivered on all aspects. Cameron you have a great team who know how to delivery excellent service! Thank you!" "I love the customer service. Allyson is absolutely great at the front desk, she really makes the experience less painful. Some of the men could be a little bit warmer but it's okay. The quality of repair is flawless, and they even include a car wash before picking up your vehicle!" "I found Sonic on Angie's List and was impressed by the high ratings and the great reviews from past customers. Needless to say, they were very professional AND thorough in determining the damages to my car and didn't miss anything that needed repair. When I picked up the car, I was very pleased with the work that was done. Their work shows the integrity and attention to detail." "Since the rains have returned in earnest, my little Honda Del Sol has not leaked one bit! And body areas prone to corrosion are protected. My impression was that Sonic Collision Center runs its business with integrity, honesty and quality. I would recommend them in a minute." "This repair was a breeze thanks to the wonderful service and professionalism exhibited by Sonic Collision Center. The receptionist was superb! I went in and she started a file on my repair, set up a time for me to come in and my rental car was set up so I just dropped off the car. I was picking up on the very next day. Efficient use of my time! I would highly recommend Sonic Body Collision Repair!" "Sonic staff were all very friendly, professional and great communicators! They kept us informed every step of the way. Allison's customer service and enthusiasm is amazing!! Our truck repair turned out better than we could have expected, the truck sparkled and they completed the repairs sooner than expected!!" "The work is very high quality, the customer service is excellent and on a grading scale I give them an A+." "They are very friendly and communicate well. They will bend over backwards to make sure you have everything you need and they also do great work." "Excellent customer service, they helped me with the entire process and handled everything with the insurance company for me. They also kept me notified of any changes and even washed the car when they were done. I would defiantly use them again and recommend them to anyone who asked." "Don't go any where else. Matched color on my car perfectly. Very professional." "excellent service and repair ,great customer satisfaction." "EXCELLENT REPAIR SHOP AND CUSTOMER RELATIONSHIP." "Absolutely the best!! Always ready when promised..work done to perfection and a super clean and wash job!! Nicest friendliest help... always done with a smile.."
"Exceptional Allison and Cory are the definition of customer service"
"I took my car in to get the driver side window repaired after someone jimmied it open and broke the electronic operator. The folks at Sonic were able to pull the glass up and wedge it in place so I didn't have to put plastic and tape on it for the couple of days before the parts came in. Then it only took 30 minutes to repair the car a few days later. It was great!" "Quality, communication and customer service were 5 star! A Trustworthy partner in what is a stressful process. My husband and I have unfortunately had damage to our cars in the last year, Sonic has restored both to their pre-damage state if not better! We won't go anywhere else."